A set of new design revenue stamps was released on 1 February 2009. This set of new revenue stamps consists of six denominations i.e. RM1, RM5, RM10, RM50, RM100 and RM250. 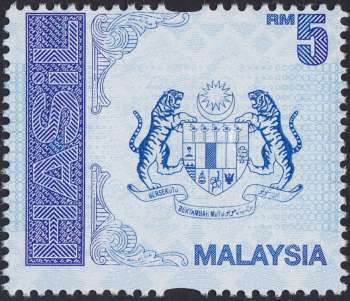 The old design revenue stamps which were issued on April 2, 1990 will be phased out by 31 July 2009. In other words, by 31 July 2009, the old ones will become invalid.